Pixalate’s Amy King, VP of Product Marketing, spoke with Telaria COO Katie Evans about the future of Connected TV/OTT (over-the-top) advertising. Telaria is a leading monetization solution for OTT providers, and Pixalate is the first company with MRC accreditation for OTT invalid traffic detection and filtration. What OTT services does Telaria provide? 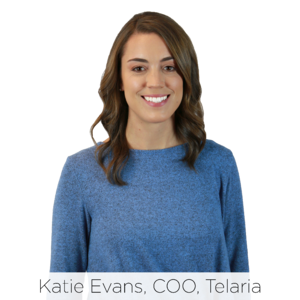 Katie Evans, COO, Telaria: Telaria offers a full monetization solution for OTT providers. We work with premium OTT partners including Hulu, Sling, and XUMO to help them manage and monetize their programmatic and direct-sold video inventory across Connected TV, mobile, and desktop — any device a viewer is watching. We offer publishers a robust suite of real-time analytics, automated decisioning, and demand delivery via our ad server and SSP. Currently, more than 25% of Telaria’s revenue is generated from Connected TV. What progress has been made in the programmatic OTT landscape over the last 2-3 years? Evans: Three years ago, programmatic OTT was still very much in its infancy. In the last 12 months, we’ve seen that change dramatically. Magna Global expects OTT TV ad spend to increase 40% this year to the tune of $2 billion. Along those trend lines, Telaria’s Connected TV revenue increased 322% year-over-year in Q3. This huge uptick is a result of growth in the amount of OTT content available, as well as buyers’ increased interest and comfort in buying this type of inventory programmatically. In the early days, linear TV buyers and programmatic buyers were totally different teams and, therefore, programmatic and TV budgets were siloed. Over the last year, we took our CTV University educational program to more than a hundred agencies, DSPs, and buyers in five countries to help bridge the knowledge gap and to show buyers how OTT advertising is within reach. While there’s still work to be done, programmatic OTT is no longer a pie in the sky that brands find unreachable. In fact, 30% of political ad buys on our platform this year were spent on Connected TV. Programmatic OTT is certainly a growing part of the advertising mix for advertisers across verticals. What progress still needs to be made in the programmatic OTT landscape? Evans: Better measurement is definitely at the top of everybody’s wish list, whether you’re a publisher, buyer, or technology partner. Unfortunately, there is no quick fix for measurement when the OTT landscape is still fragmented. We’re working with the IAB Tech Lab as they finalize their guidelines for Identifiers for Advertising (IFA) on OTT platforms, which provides a framework for everyone in the OTT ecosystem to communicate in the same language to pass information through ad requests. In 2019, I’m confident that more linear TV dollars will shift to OTT and more standards will be put in place to measure OTT. The industry will continue to innovate. There are many different OTT app stores, each with varying amounts of information provided about the available apps. What challenges does the decentralized app ecosystem pose to marketers? Evans: The Connected TV space is spread across about a dozen leading hardware companies from the streaming set-top-boxes from Roku, Fire, Chromecast, and Apple TV, to Smart TV OEMs like Vizio, LG, Samsung, Philips, Sony, Panasonic, etc., to consoles such as PlayStation and Xbox. Multiply these against the variety of traditional programmers streaming video directly to consumers with apps, and you begin to see how complex the ecosystem is. Without a standard identifier, both content providers and marketers run into issues like double insertions of the same ad or lack of competitive separation. Furthermore, a decentralized ecosystem prevents marketers from harnessing the true benefits of audience targeting through OTT. The guidelines for IFA on OTT platforms I mentioned before will help solve these challenges by creating a more level playing field for advanced video targeting. Frequency is an often-mentioned challenge in OTT advertising. Have you seen improvement in this area? What do you say to advertisers concerned about frequency? Evans: Nobody likes to see the same ad twice in a row, and brands certainly don’t want to see their ads run next to a competitor’s spot. Frequency is a key challenge for both publishers and advertisers, and the good news is that there is technology that can solve for this. We’ve engineered specific solutions, such as ad podding, to create a great user experience across “big screen” OTT formats, to eliminate frequency issues like ad redundancy and competitive conflict. Telaria’s Video Management Platform allows publishers to apply frequency capping across both direct-sold and programmatic demand as well. How are you combatting ad fraud in Connected TV/OTT and how does Telaria protect its inventory from ad fraud? Evans: Ad fraud should not be tolerated in advertising, period. But the reality is that bad actors will always try to steal from the industry, and it’s up to everyone else to be constantly vigilant and proactive to combat fraud. Telaria’s Fraud Fighter Guarantee ensures that when you work with Telaria, you don’t pay for fraud. In addition to being in frequent communication with Pixalate, we also have partnerships with other industry-leading, independent third-party verification partners to meet or exceed safety standards for all MRC-accredited inventory. Additionally, our dedicated quality assurance team inspects all platform supply through a process that evaluates against comprehensive guidelines and an additional human vetting process ensures all content is brand-safe. What do you want the advertising industry to know about ad fraud in Connected TV/OTT? Evans: The amount of advertising dollars being spent on Connected TV and OTT is rising rapidly, and it’s an unfortunate reality that bad actors are going to actively try to cash in. At the end of the day, fraud in digital advertising is going to exist in some form because fraudsters will always find new methods to infiltrate the industry. It’s up to technology providers to take the necessary steps to flush out the bad actors and keep the ecosystem clean. Publishers and advertisers have to hold their technology partners to high quality standards to ensure their ad revenue and ad spend isn’t being spent on fraudulent inventory.